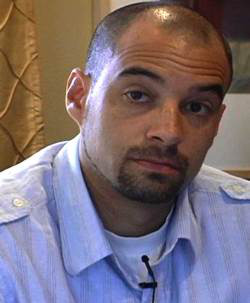 Dr. Jeff Duncan-Andrade cited the work of the late artist Tupac Shakur in an example of tailoring a curriculum relevant to the students they are serving. SAN DIEGO — The second of four Association of American Colleges and Universities (AAC&U) academic renewal conferences wrapped up this weekend after focusing on educational strategies to promote academic excellence for all students. AAC&U’s centennial year conference brought together 705 practitioners, researchers, faculty and staff to implement inclusive action-oriented best practices on their campuses. The theme of the network meeting — Diversity, Learning, and Student Success: Accessing and Advancing Inclusive Excellence — addressed the accountability of institutions serving the most underrepresented students. Many attendees were impressed by the conversations about how critical it is as educators to serve the whole student. Dr. Carol Geary Schneider, AAC&U’s president of 17 years, announced the new Liberal Education & America’s Promise (LEAP) Challenge that aims to influence policy by advancing inclusive excellence in college learning. The LEAP Challenge aims to prepare students to understand and manage complexity, diversity and change through the development of high-level transferable skills that can be used in real-world settings. Keynote speaker Dr. Jeff Duncan-Andrade spoke about his 20 years as an urban educator and addressed social toxins that young people face in society. Duncan-Andrade, San Francisco State University associate professor of Raza studies and education administration and interdisciplinary studies, used many references to the late artist Tupac Shakur to relay the significance of curriculum relevant to the students they are serving. In other words, curriculum needs to be relevant to students’ experiences in order for them to respond to the toxins emerging from racism and poverty. Student participation was also welcomed at the AAC&U diversity and student success conference. A session of student narratives from students at the University of Southern California (USC) was moderated by Dr. George Sanchez, professor of American studies and ethnicity and history, and vice dean for diversity and strategic initiatives at USC. Students shared their experiences and motivation for pursuing higher education. Panelist Jasmine Torres co-wrote the article “Walking the Tightrope of Full Participation” with Sanchez in the latest issue of AAC&U’s Diversity and Democracy. Torres drew from her experiences overcoming homelessness and the foster care system to help launch the Trojan Guardian Scholars program, which offers support services specifically for current and former foster youth who study at USC. Jamal E. Mazyck can be reached at jmazyck@diverseeducation.com and on Twitter @jmbeyond7.